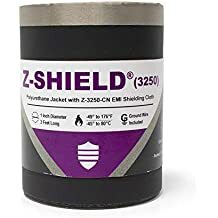 Large Trucks Buses Semis And Tractors - Industries - ZT | Zippertubing Co.
Large trucks, buses, semis, and tractors need reliable cable or wire bundling, shielding, and protection. In the industry of trucks, buses, semis, tractors, and other large transportation vehicles, there are many safety and prevention requirements that are essential to effectively operate and maintain these vehicles. With so many components, such as sensitive fluid lines and electrical cables, there are a variety of risky circumstances that any quality company should take action to prevent. Zippertubing® provides solutions to the manufacturers of these large transportation vehicles, as well as to the companies that buy fleets of trucks, and refurbish, repair, or retrofit them to their specific needs. Zippertubing® has 60-plus years of experience providing thermal-protective products for components in the engine compartments of various large transportation manufacturers. With our experience selling directly to automotive OEMs, lower-tier suppliers, and fleet management companies, Zippertubing® understands the needs of the large truck, bus, semi, and tractor industries. Zippertubing® has engineered and manufactured many cable-bundling solutions for the interior of large vehicles, as well as harnesses for routing wires or cables along the chassis. 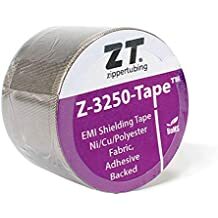 Zippertubing® products help make cable management, EMI shielding, thermal and environmental protection, maintenance, and repairs less time-consuming, allowing our customers to focus on more important aspects of their business. Zippertubing® is TS16949 certified, enabling us to provide top-quality custom solutions to our customers. With Zippertubing® products, your company can supply reliable transportation to your customers. Our products are built to last, produced based on the highest quality standards, and delivered on time. Here are just some of the products we have related to the Large Trucks, Buses, Semis, and Tractors industry! Lower the risks and advance the quality of your transportation needs with Zippertubing® products and custom-engineered solutions. Zippertubing® provides top-quality prevention, maintenance, and repair for your trucks, buses, semis, tractors, and other large transportation vehicles. Find out how our EMI shielding, thermal management, specialty heat shrink products, cable or wire bundling, and harnessing solutions will help you provide the best service for your customers. Contact us today to speak with an engineer to find and create the perfect solution for your problem. Custom-engineered solutions for cable or thermal management fit any large transportation vehicle. With years of experience, Zippertubing® continues to produce quality products and reliable, custom-engineered solutions. From general maintenance and prevention to custom solutions for the common or unique problems of individual companies or vehicles, Zippertubing® will provide a product fit for your particular needs. Why use Zippertubing's Cable Management products in the Large Trucks, Buses, Semis, and Tractors Industry?